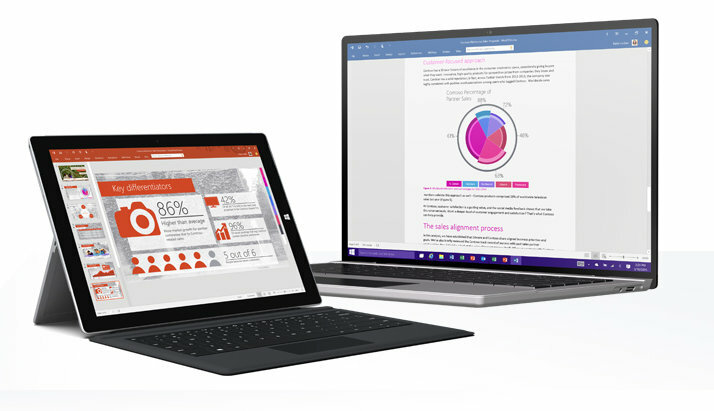 Microsoft has come up with the new release of Office 2016 Public Preview. Already the productivity suite was released by the folk last March. Now the release is meant for public that would include Office 365 subscribers and also non-subscribers. Company promised its customers that they had imparted many changes in preview. They also said that it is compatible with Windows 10, Windows 7, Windows 8 and also with tablets having Windows OS. But you will have to uninstall Office 2013 inorder to install new preview. Let us look down the changes that Microsoft imparted in the new preview. Since you got your files saved in cloud storage, accessing them from anywhere on any device is easy. With new Preview of Office 2016, it’s easy to create, open, edit and save files. The changes that made in Outlook had made it easy to attach certain documents from OneDrive without leaving Outlook. This has made the work of the users too easy. Also the new Preview 2016 gives you an opportunity to have your work shared with your others in real time. This would help in accessing and editing the work done by others within no time. This is possible with the help of Office Online Applications. There are many smart applications that will let you to perform your work with easiness. Tell Me, is a new search tool in Word, PowerPoint and Excel, that allows you find out the commands that needs to perform certain actions. All you have to do is to type what you actually want to do. Another such application is Clutter, which is a new Exchange feature that analyses the way in which you use your emails. Then it will move the less important emails to a separate folder named Clutter Folder. Thus this will make your work easier by providing important emails first when you open up your mail-id. Insights, will provide you the web contents that you are interested in based on your web searching pattern. Certain analysis techniques have been added to Excel inorder to make the work of its users more simplified. One Click Forecasting, which will allow the users to forecast the entire data with by single click. This will provide the trend and future course of action. Data Connecting and Shaping Capabilities, allows you to connect and view all data in your Excel spreadsheet with the help of integrated Power Query. It woud allow you to get connected to data sources like tables and other forms of data from SAP, Hadoop, Salesforce etc. This would make the data from various sources together and analysis can be made within a fraction of seconds. Easy Data Modeling and Powerful Analysis help the user to trace different data packs. With the help of drag and drop feature, this one allows you to make a data model which gives you a better picture of current status of your business. This classification and analysis can be made easier with the help of PivotTable as well as with the help of PivotChart. This will help the user to analyze millions of data without wastage of time. The new Preview 2016 provides the advantage of publishing the Excel workbooks to users of Power BI. Certain new models of charts and graphs have been introduced in Excel. This may include TreeMap, Histogram & Pareto, Box & Whisker, Waterfall and Sunburst. Office 2016 ensures security that would promise certain organizations over their most sensitive data and its proper management. It is loaded with certain security measures for these organizations and enables them to secure their data. Data Loss Protection, is available in Office, which will allow the users to create and manage certain policies for sharing documents. Outlook Multi-factor Authentication, allows the organization to secure their data by integrating it with Active Directory Authentication Library. Information Rights Management, have been made available with Visio Files securing online and offline protection for Visio diagrams. Background Intelligence Transfer Service, is used to prevent the rush on the network. It ensures control over the network when another important network data transfer is on the way. Using ConfigMgr, entities can have the monthly updates of Office and allows the organization admin to download and install them timely. Also these admins can customize the pace of receiving certain featured updates and bug fixes along with regular security updates. Certain controls in Office 365 Admin Portal allow you to regulate activations of device to various users.